In Pochampally you can see Markandeswar temple, the deity here is Lord Shiva, blessed Markandeya(ancient rishi or sage) and saved him from Yama the Lord of Death. 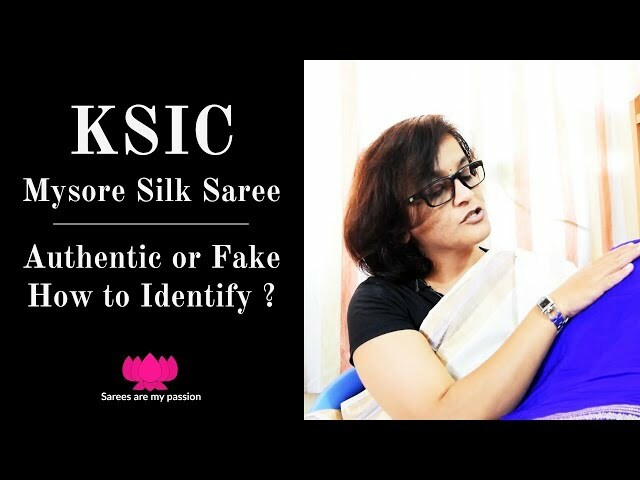 India is the second largest producer of silk in the world after China but is the largest consumer of silk. Graceful Pochampally saree is available in cotton, silk and sico fabrics and well known for it's durability of the colors used in the yarn. 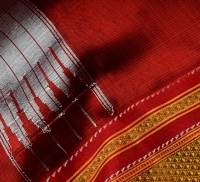 The GI mark(tag), award which was received in 2005, which helps to ensure authenticity of the sarees as well as the Intellectual Property rights of the artisans or a craftsman, weaving the saree.It is the first traditional Indian craft to receive this status of geographical branding.Pochampally silk sarees are culturally popular for the 'Ikat' styling and designs.The weaving using a fry shuttle, operated by pulling the cord in the centre of the loom. Trade secrets are handed down from generation to generation. Weaving a Pochampally saree is an art.The weavers behind this handcrafted masterpiece, most of them are from Padmasali Community. 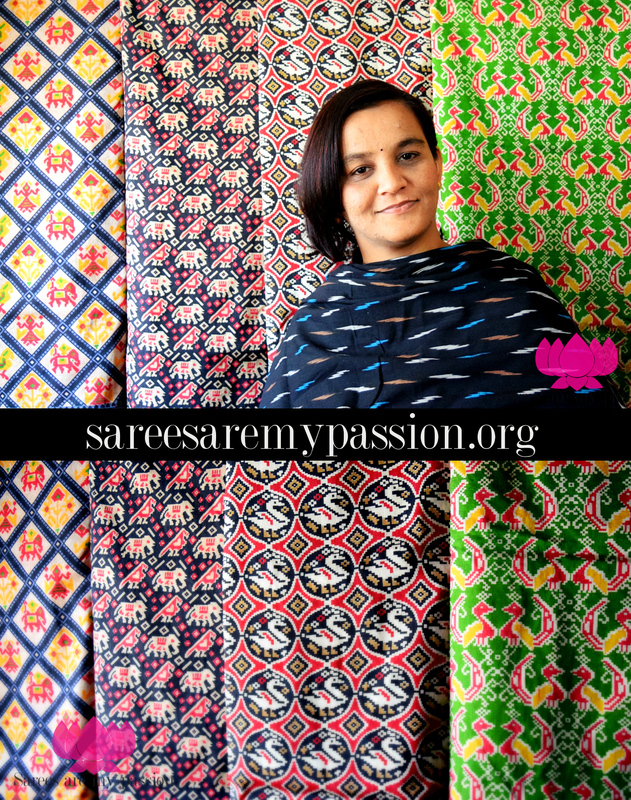 The weavers of pochampally are popular for their traditional and geometric patterns in Ikat style of dyeing, rich colors and intricate and generous sprinkling of geometric patterns which hooks any saree lover attention! 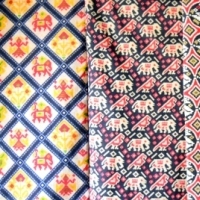 Ikats are of two types namely 'Single ikat' and second one is 'Double ikats'. 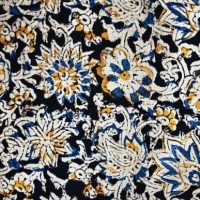 Single ikat, you can see only warp is tie-dyed and interwoven with the weft, which is either uncolored or has only one basic color. In double ikats where both warp and weft are tie-dyed and positioned in such a way that they work together to create the specific design with that signature bleed. 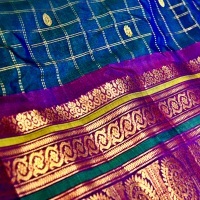 Based on current trends you can infinite combinations of colors used, but I always prefer classic ones, such as yellow and blue combination, quintessential in combination of Red and black, Elegant parrot green Pochampally with yellow, Gorgeous ananda color Pochampally saree with Rani pink and the pattern is mostly dull gold. 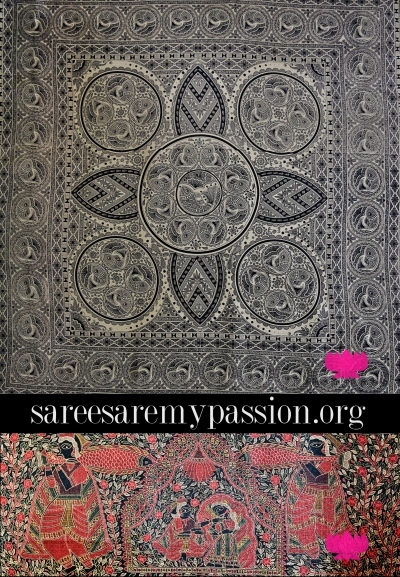 The distinctive motifs, modern Pochampally sarees borrow heavily from the Patola sarees of Gujarat, which means that the motifs are a mix of elephants, parrots, dancing girls, traditional diamond motifs, parrots, swans, elephants and floral motifs often interspersed within the geometric grid of the rumal-style field which are commonly used. 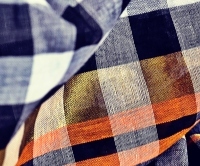 The electrifying patterns used are checks, triangles, stripes and more. Most of the designs still follow the rumal layout with wide plain borders. The use of zari is also lighter than the traditional variants, although just as elegant and exquisite. 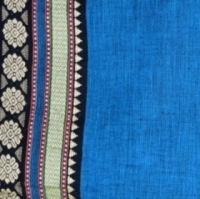 Designer Pochampally handloom sarees is been showcased in international ramps and runways. 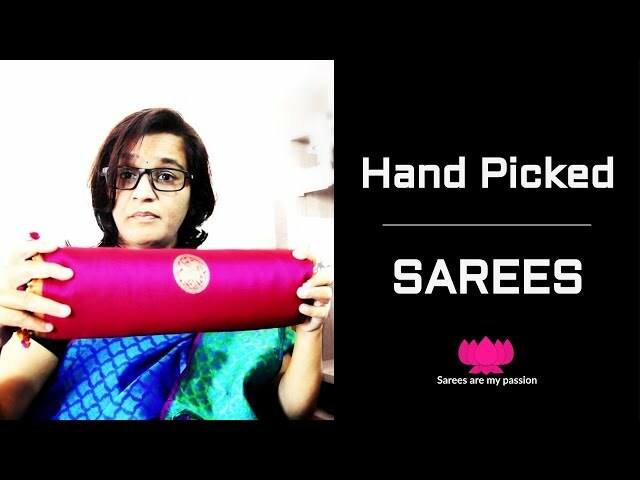 You can see amazing products such as Pochampally sarees, stoles, prints for bed linens, tissue paper boxes, anarkalis, skirts, lehengas, bedcovers, telia rumals, dress materials, cushion covers, photo frames, belts and necklaces, bags, potlis, varieties for home decor items too, and many more adding to the creative list. 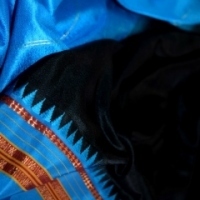 Maintenance of Pochampally Ikkat saree: The best approach to maintain a Pochampally Ikkat saree is to give for a dry clean, this preserves the tie-dye effect on the saree. In fact, it is a good idea to change the saree fold once every month to avoid permanent creases.